Last night I met Jay Kordich. 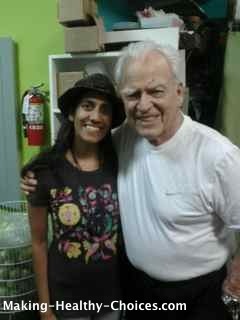 He is 89 years old, makes and drinks fresh fruit and vegetable juices every day and is fabulously inspiring. Who have you met lately that has inspired you? Human beings are social creatures that live in community. We are designed to relate to one another. And, for me, a huge part of this is choosing to spend time in the company of those that inspire and lift me up. Being around people that drain my energy and are negative forces is just not okay for me. So, last night I was honoured and privileged to meet Jay and Linda Kordich. Meeting people that are much older than me is always an honour. There is so much to learn from their years beyond mine and when I am in their company I am quiet and I listen. For ages, wisdom has been passed down from generation to generation through words and stories. He shared with us some of his stories. I strongly encourage you to seek out people that inspire you and spend time with them. Seek out the elders of your community and listen to their stories - really listen. Thank you so much Jay and Linda Kordich for being present and spending time with us last night. If you don't know much about Jay Kordich I highly recommend checking out this book. 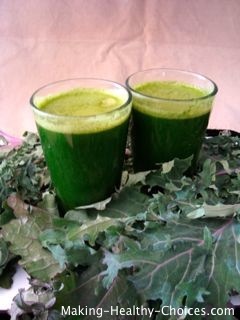 It is packed full of nutritional information, juicing and other recipes, gorgeous pictures ... and, best of all, gems from the story of Jay's life. To read more about Jay's wonderful book, click here. It is delightful to read this post and i get many useful point through this post. I met Jay years and years ago at a juicing demo and then I used to always see him on his tv commercials. I had forgotten all about this legend of a man. How wonderful to see this post and to know he is still around and still juicing. Thanks for sharing this .. it made my day!!! !